A new taskforce has been formed to investigate flammable cladding on Victoria's buildings after the State Government gave the order in response to audit results and recent building fire cases. The taskforce — co-chaired by former Liberal premier Ted Baillieu and former Labor deputy premier John Thwaites — will audit buildings to ensure they adhere to safety standards. The Victorian Building Authority (VBA) has audited more than 200 city properties for the combustible material, according to the ABC, after aluminium composite cladding was found to have contributed to the spread of a huge fire at the Lacrosse building in Melbourne's Docklands in 2014. It was a case similar to that found on the Grenfell tower in London that burnt last month. Mr Thwaites told the ABC the State Government was concerned the building codes were not working and action was not happening fast enough. "What I know is that Planning Minister Richard Wynne has asked this taskforce to accelerate action. He's concerned that action isn't taking place fast enough," he told ABC Radio Melbourne. "The advice from various fire authorities is that there is, right around Australia, widespread non-compliance with the building code. "There has to be a system of compliance or people aren't going to be safe. 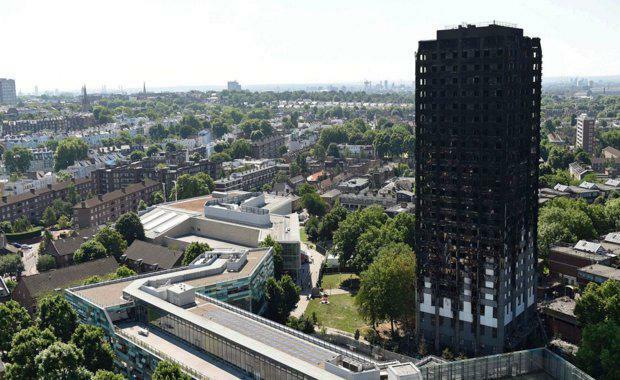 "The Taskforce will oversee the continuing audit to identify where cladding has been used inappropriately and ensure buildings are rectified more quickly. It will also make recommendations to the Government on how to improve compliance and enforcement of building regulations to better protect the health and safety of building occupants. “This is a critical public safety issue – agencies, stakeholders and all Victorians need to work together to ensure cladding complies with our strict regulations and buildings are safe," Taskforce Co-Chair Ted Baillieu said. Key agencies Worksafe Victoria, the Metropolitan Fire Brigade, the Victorian Building Authority, the Municipal Association of Victoria and Emergency Management Victoria will all be represented on the Taskforce. A stakeholder reference group made up of organisations including building unions, the Master Builders Association of Victoria and the Housing Industry Association will also be established. The Taskforce will meet for the first time this week.